All day, every day - until September 30th you can enjoy a pint of Furphy's refreshing ale for just $9. 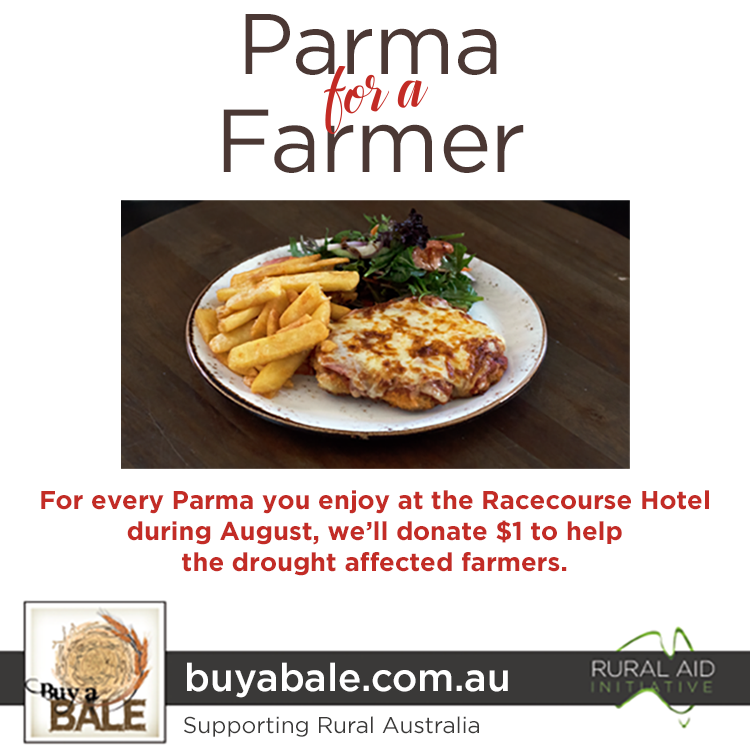 The Racecourse Hotel is proud to be supporting Buy a Bale's "Parma for a Farmer" fundraiser for the month of August. Until the end of the month, $1 from every sale of a parma will be donated to support drought affected farmers. So drop in, enjoy a great meal and support a great cause! Game of Thrones (TV series) Trivia! Buy a pot, pint or jug of Carlton Draught in our Sports Bar to go in the draw to win four tickets to the AFL at the MCG. Come and kick start this year's fundraising campaign with a fun filled Friday Session at the Racecourse Hotel. Catch all State of Origin games live and loud in our Sports Bar! Book in now for Mother's Day lunch! This Easter we will have limited trading hours, read for more information.